China’s Huawei has unveiled a new line of smartphones that match or even improve on key features offered by Apple or Samsung while undercutting their rivals on price. 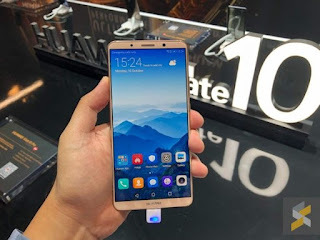 Huawei aims to distinguish itself through technological advances that will put it on a level playing field with the most coveted premium-priced devices, helping to boost profitability that has been undermined by heavy discounting in the chase for market share. Monday’s product launch in Munich introduced Huawei’s new Mate 10 series, touting high-end cameras, screens and batteries but at prices 15-30 percent below more or less comparable Apple and Samsung smartphones. Huawei was the world’s No.3 smartphone maker by shipments last year, temporarily overtaking Apple as No.2 in June as consumers awaited the new iPhone 8 and iPhone X line-up, data from Counterpoint Research shows. With Apple’s latest models now on the market, Huawei has weighed in with the Mate 10 and Mate 10 Pro, featuring, respectively, 5.9-inch and 6-inch edge-to-edge displays, as well as fast-charging batteries that sustain two days of heavy use. “The Mate 10 line ticks all the boxes in terms of screen size, high-quality camera, powerful processor and slick design – competing with rival products from Samsung and to some extent, Apple,” said CCS Insight mobile analyst Ben Wood. 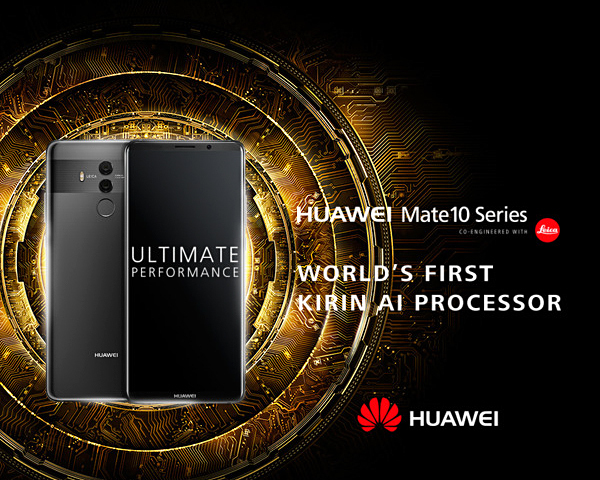 Perhaps the most distinctive features of the Mate 10 series is its image recognition capability — an artificial intelligence feature that can tell the difference between people, flowers or other objects in different light or weather conditions. The Mate 10 also boasts cameras with high-grade Leica f1.6 aperture lenses. In March Huawei vowed to focus on profit margins and reduce spending this year after posting its slowest profit growth in 5 years in 2016. Though it has become more focused on mid-tier and premium phones and reduced its appetite for market share at any cost, it still has a long way to go. Apple captures nearly two thirds of the smartphone industry’s profits and Samsung accounts for almost a quarter while Huawei and Chinese rivals operate on meager margins of about 4 percent, Counterpoint Research estimates. Those modest margins put a cap on how far Huawei can go with further discounting. China’s largest smartphone maker is looking to sustain its momentum in international markets such as Europe while also differentiating itself from fast-growing domestic rivals through technical advances. Huawei’s European growth exceeded 50 percent in the first half of 2017, outpacing other regions, Yu said, adding that European sales had helped to compensate for sluggish growth in emerging markets. 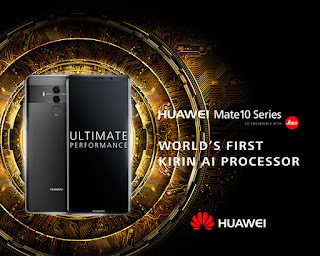 The Mate 10, priced at 699 euros ($825), will go on sale in 15 countries this month, ranging from Spain to the Gulf states, Australia and southeast Asia, Huawei said. The slightly more feature-rich Mate 10 Pro will be priced at 799 euros and start to ship in mid-November to 20-plus countries, including Germany, France, Italy, as well as Asian and Middle East nations. The company also said it will offer a luxury Porsche Design edition at 1,395 euros. Samsung’s comparable top-of-the-line phone, the Galaxy Note 8, is priced at 999 euros in Germany. Apple’s smaller-screened iPhone 8 starts at 799 euros while the iPhone 8 Plus is 909 euros and the iPhone X starts at 1,149 euros on the company’s German website.